I recently finished a ring that is so awesome I have to share it. I don’t mean awesome as in “Oh look at me, I’m such a good jeweller.” I mean awesome as in the clients are awesome (also good friends), the concept of the ring is beyond awesome, the finished product is awesome and we are all feeling totally awesome about it now it’s on the finger of the owner. So here it is, the ring of awesome. 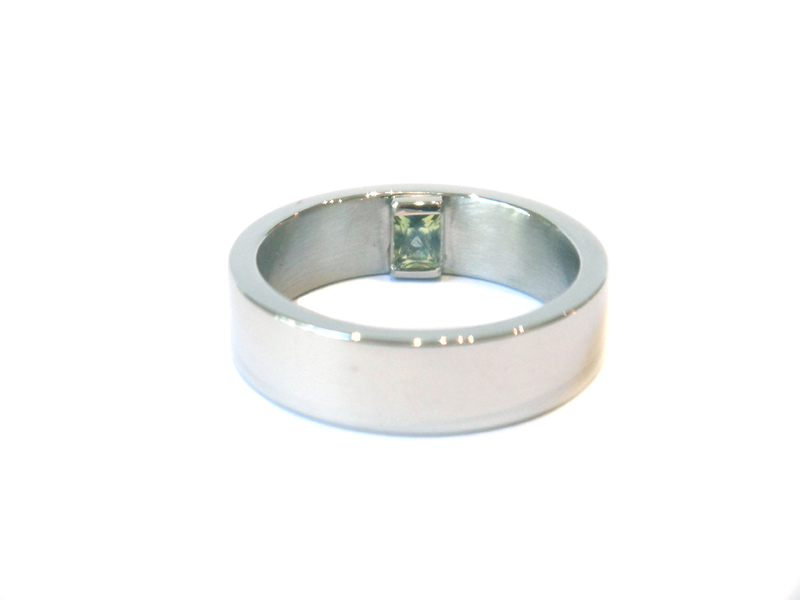 This beauty is a mens engagement ring made from palladium, with an 18ct white gold setting on the inside of the band with a cool little party sapphire in it. 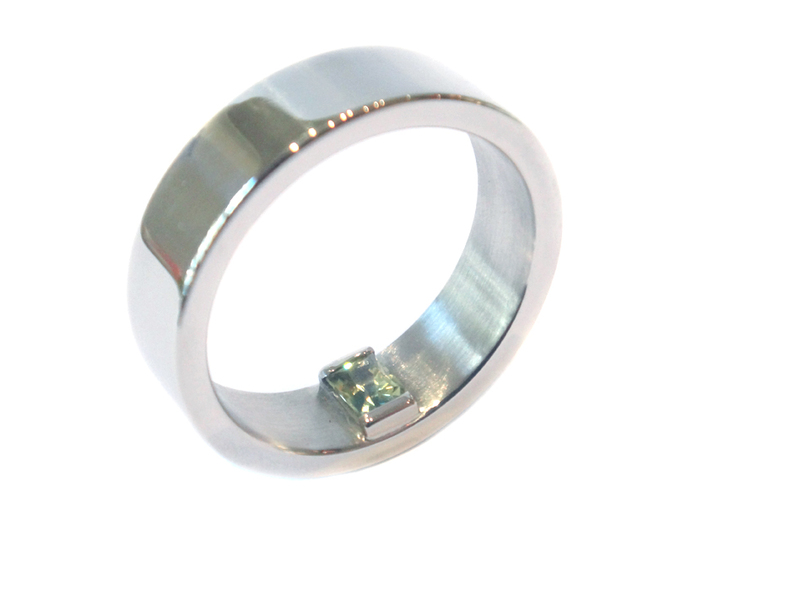 The first part of the concept resulted in the stone being set on the inside of the band. You see, one half of this loved-up couple is a keen surfer and at the start of the courtship it was made very clear that the ocean was indeed his lover and his lady was his mistress. As time ticked on and the relationship continued to blossom into love those priorities shifted and the beloved ocean then became number 2. The new lover wanted her wave hungry fellah to always be reminded of her when he was spending time with his mistress. 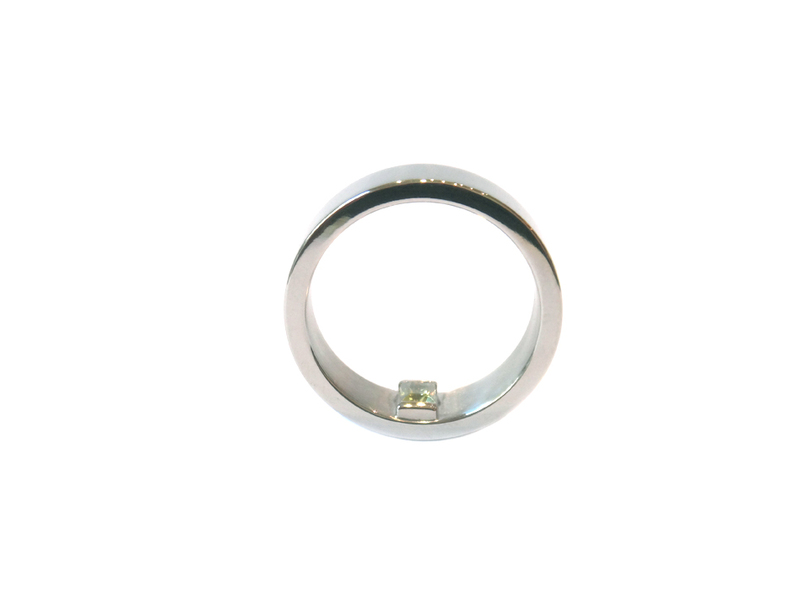 By having the stone on the inside of the band it leaves an imprint on the finger when taken off. This way he can never forget who his heart truly belongs to. Isn’t this just the sweetest thing you’ve ever heard? Well it gets better…….. When we started talking about ideas for this ring there was a beautiful story of a ring in the family that contained a sapphire with a flaw. Typically flaws in stones bring down the value and are seen as ‘ugly’ but not to one little girl, who’s memory of this ring and it’s stone is total beauty. A love of something even though it was imperfect. A love of something for just being the way it is. This was also how she described her relationship. A complete acceptance of one another, a total understanding that this is who I am and I love you for who you are, flaws and all. So off we went on a little adventure to find a small sapphire with a noticeable inclusion, could we find one? No, but what we found was way better! A party sapphire! 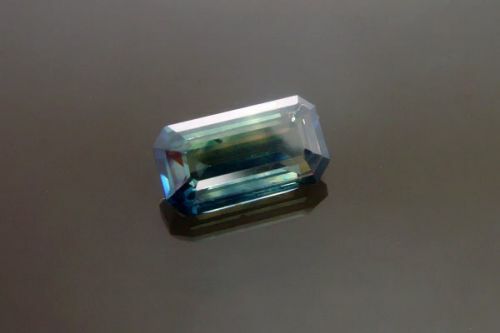 Party Sapphires have a combination of colours in them, typically blues, greens and yellows. Some would see this as undesirable because it isn’t perfect, but what we saw was a way to explain the love this relationship was formed on. We picked a beauty, mostly yellow as that is his favourite colour, with a dash of blue and green through the middle. On the outside of the band there is a little hole for the light to sneak in and a hint that there’s a whole lot more going on inside the band than there is on the outside. A little secret between 2 lovers. A personal tale, told through jewellery they can pass onto their kiddies and grand kiddies. 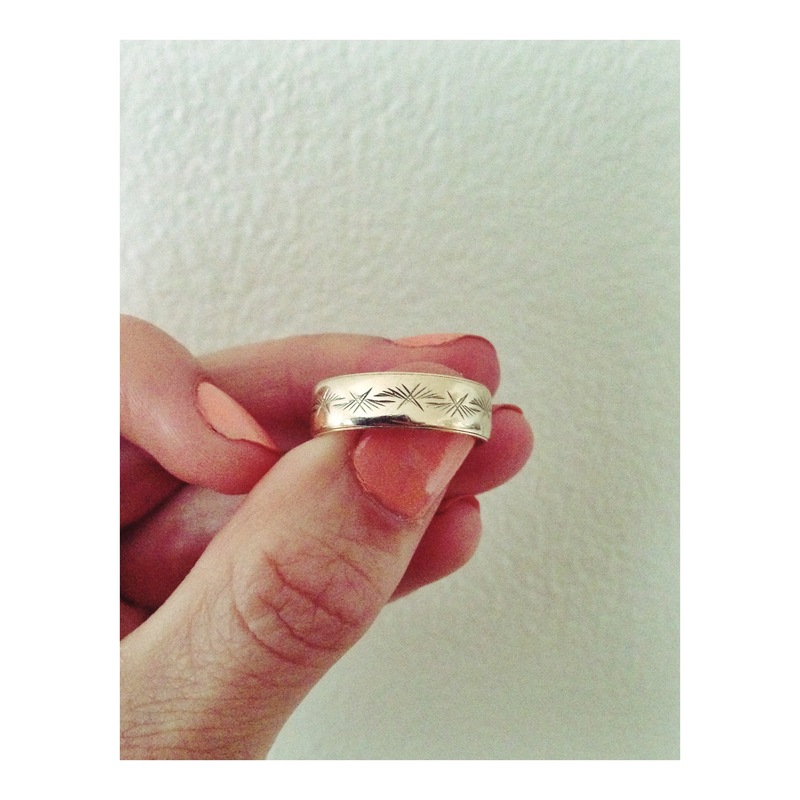 An awesome ring for 2 friends that have shown me all kinds of awesome as both individuals and now as sweethearts. I hope this encourages more people to really think about what their loved ones mean to them. Choose a ring that says this. 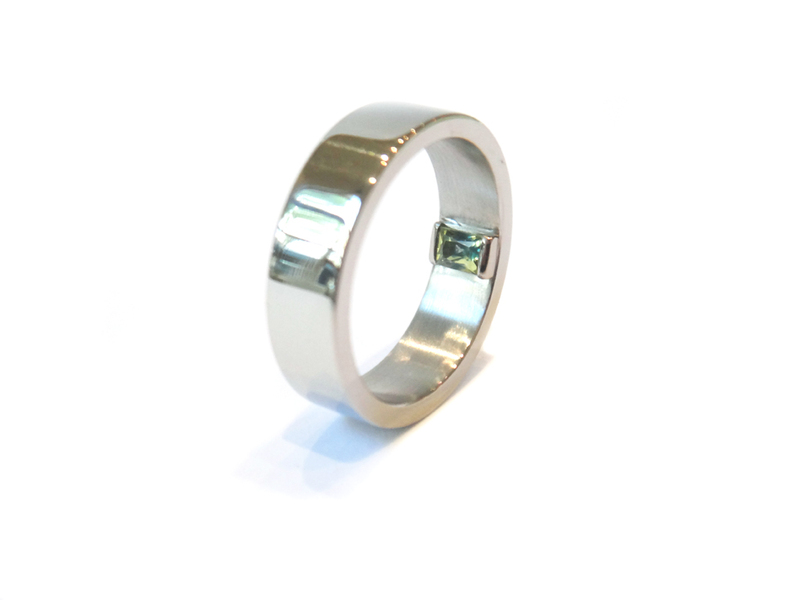 Choose a ring that’s handmade. Choose to support Australian design and craftsmanship.